Good enough to eat raw. 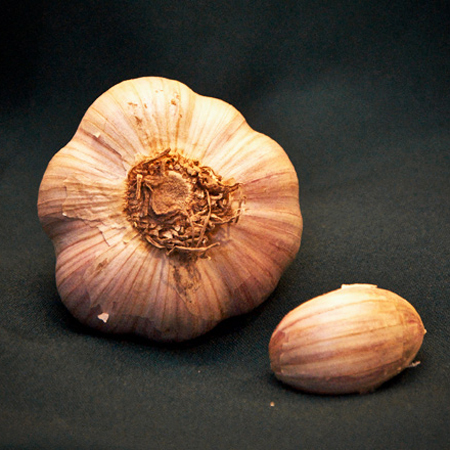 This has become a favorite for garlic connoisseurs and chiefs. Bulbs contain 5 to 6 large easy to peel cloves. Brought to the U.S. before 1900. Good enough to eat raw! Stars with some heat but it fades to a pleasant aftertaste. When roasted it is mild and sweet with little aroma and perfect texture. This has become a favorite for garlic connoisseurs and chiefs. Medium sized bulbs but the plants can produce huge bulbs when cultivated in the garden. 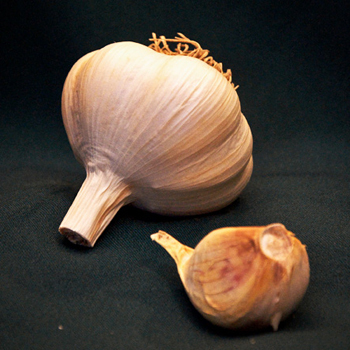 Bulbs contain 5 to 6 large easy to peel cloves. Sores 4 to 6 months.